Dada Robotnik: Comin' Right up! 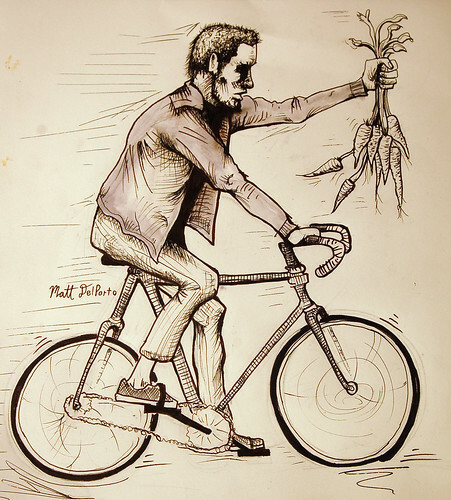 Cranksgiving! Matt Delporto did an awesome drawing for the 'cat, but we got it too late for the flyer. Still, mad cool. 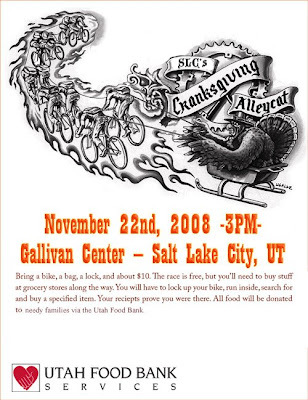 Come one come all to the coolest freakin' charity ride out there, alleycat style! get food on some plates and a bit of warmth in your brisk pre-turkey saturday. Idea and poster stolen from The New York Bike Messenger Association, sorry about the bad photoshopping! hells yeah!!! love it!!! I'll definitely be there. I can't think of a better way to contribute to our society than this. mad props!